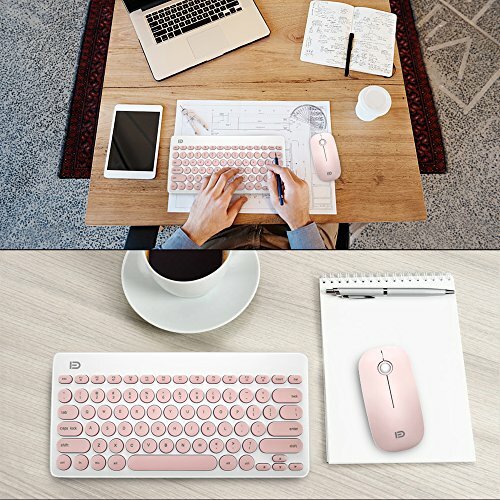 View More In Keyboards, Mice & Accessories. FD Tech. 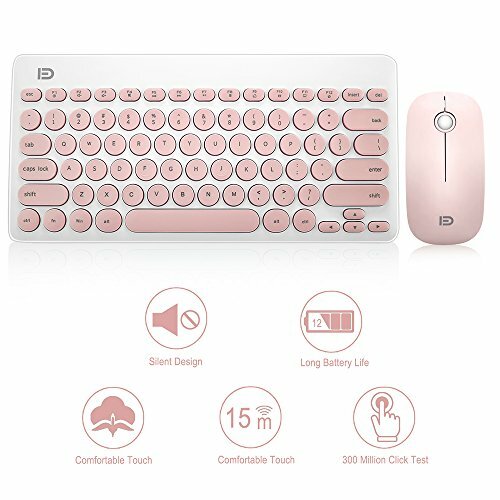 aims at providing elegant, fashion and ease-of-use products for all people who need the wireless mouse and keyboard, especially for the young friends and kids with its youthful design. Any questions, feel free to contact us, we'll give you a satisfactory solution within 24 hours. 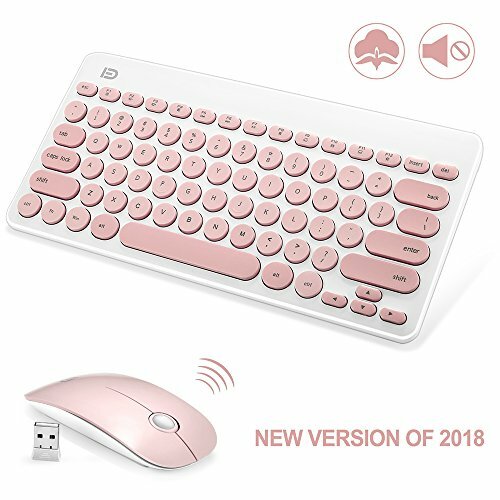 ①Open the battery case, insert the battery to the case of keyboard and mice, pay attention the positive and negative direction, 2 AAA batteries for the mouse, one AAA for the keyboard (batteries included ). Note: Before you use it, please tear the battery insulating protective film. ②Cover the battery case and remove the receiver. ③Insert the receiver into the computer USB interface, wait a minute and you can use this combo immediately. 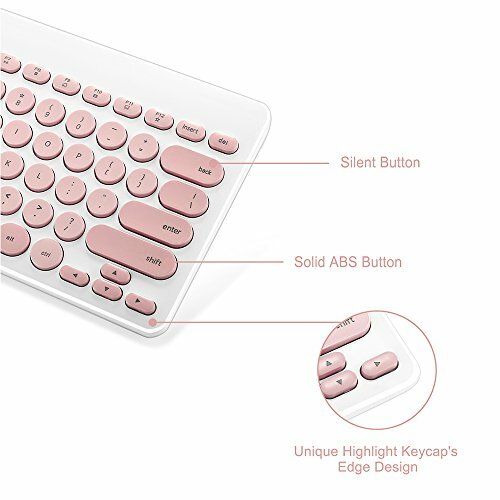 ⊙ Fashion & Quiet Design: Compact-sized 78 round chiclet keycaps with glossy and smooth edge technology and new fresh color brighten up your device and your desk. 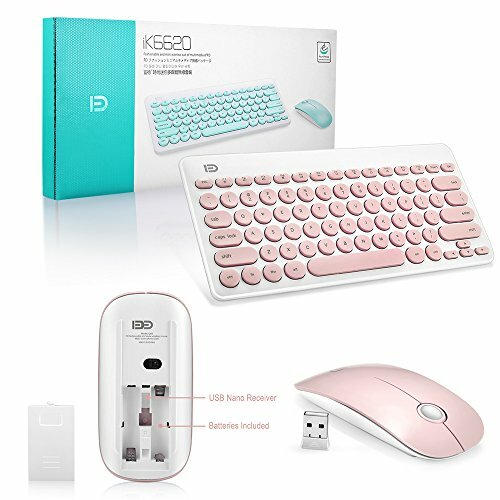 Sleek keyboard and mouse with low profile whisper-quiet keys deliver comfortable and smooth typing. ⊙ Reliable 2.4G Wireless Connection, Plug and Play: 2.4GHz signal delivers up to 10 meters connection. 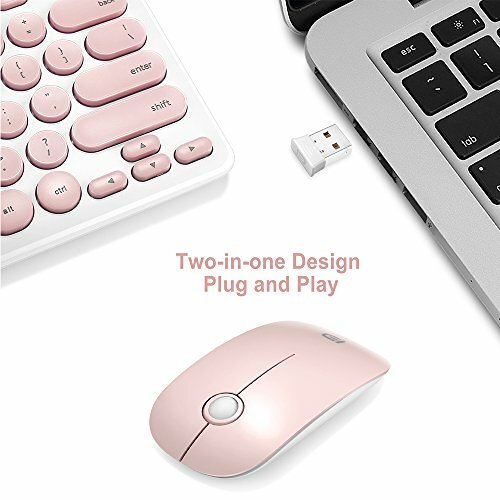 A tiny USB Nano receiver (stored in the back of the mouse) connects both the keyboard and mouse with one USB port, just plug and play directly. ⊙ 12 Hot Keys: 12 Easy-to-Reach function keys provide multimedia controls for music & video, searching, E-mail etc. 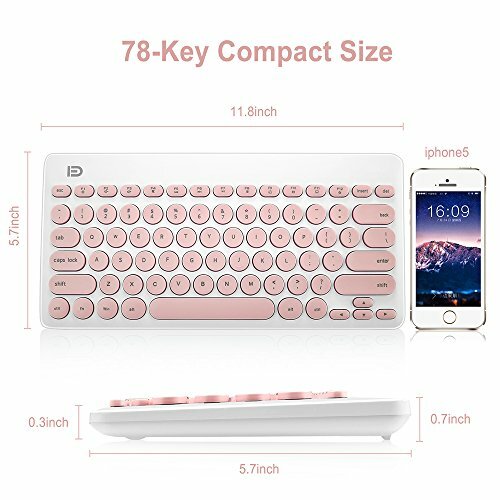 It is perfect for entertainment, school and work. ⊙ Universal Compatibility: Compatible with Windows 2000/ ME/ XP (*64)/ Vista/ 7/ 8/ 10 Mac OS X (V10.4 above)/Android. 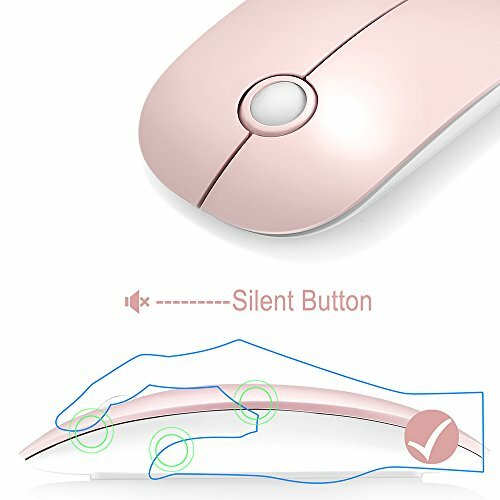 Work well with Macbook, desktops, Chromebook, PC, Laptop, Computer Smart TV and more. If you have any questions about this product by FD, contact us by completing and submitting the form below. If you are looking for a specif part number, please include it with your message.